Monthly and Fortnightly payment terms available upon request. Contact us on info@royalstays.com.au or +61 3 9071 1412. 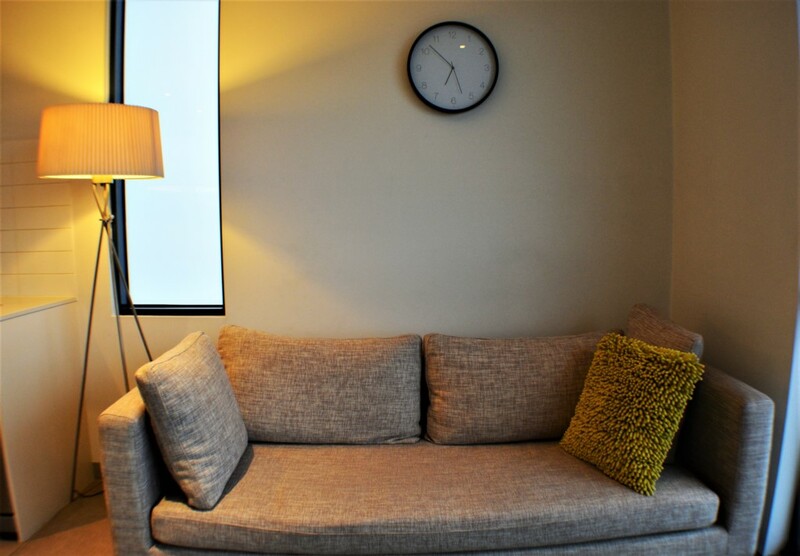 This is a self-contained 1 Bedroom/1 Bathroom apartment with a private balcony. The master bedroom includes a Queen size bed with built in robes. 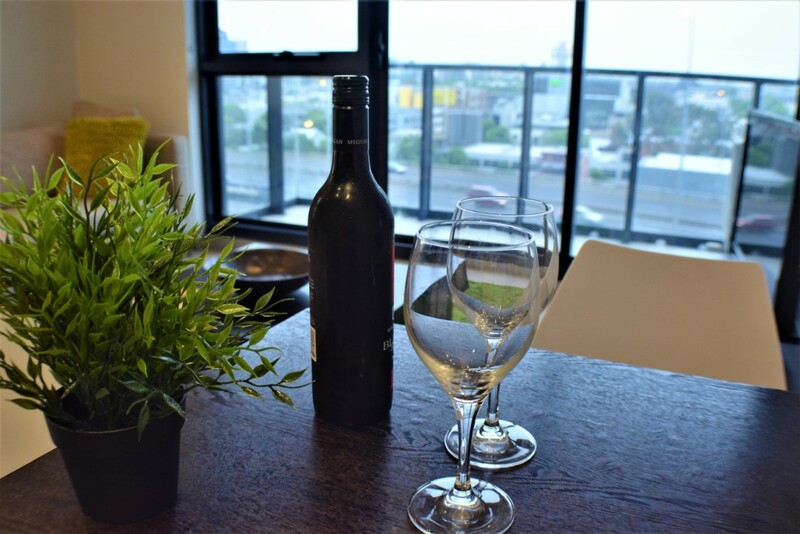 This apartment is well-equipped with a full kitchen with convection microwave, fridge, dishwasher, stove top cooking facilities and European style laundry facilities (Washer/Dryer). 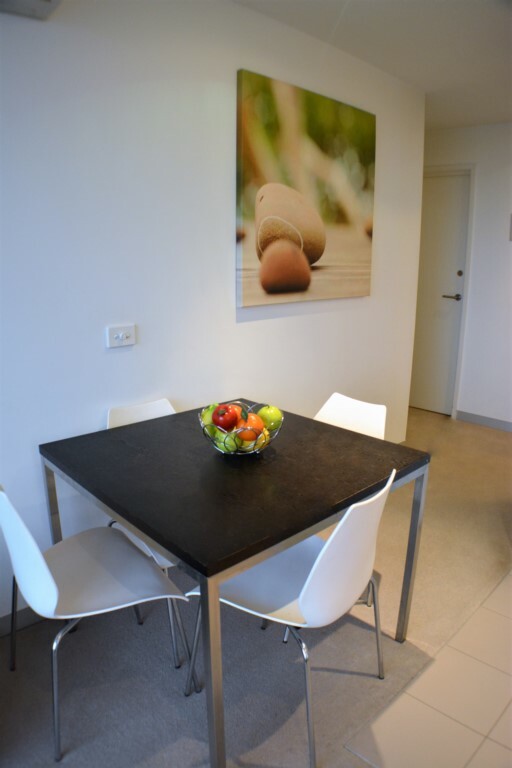 It offers a dining and lounge area with a 42-inch flat-screen TV including 30+ Foxtel channels. It features a fully reversed cycle air conditioner and a superior quality mattress. There is a secure entrance and elevator access in the building. 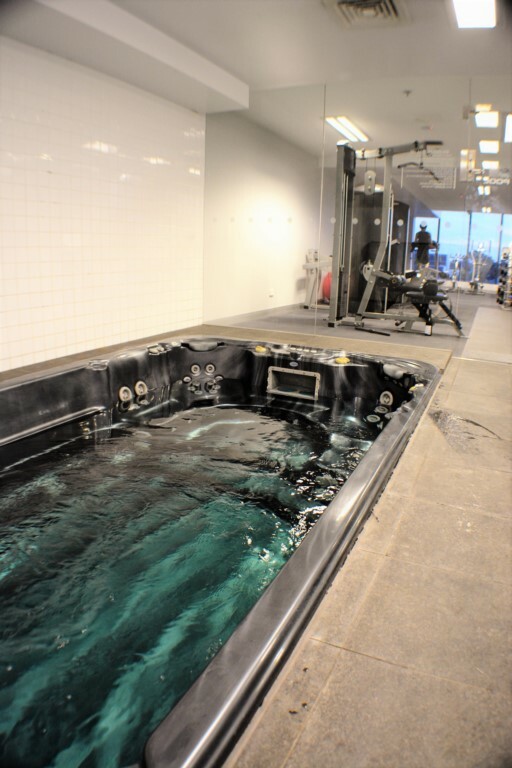 Guests enjoy free Wi-Fi, a hot tub and a fitness center. 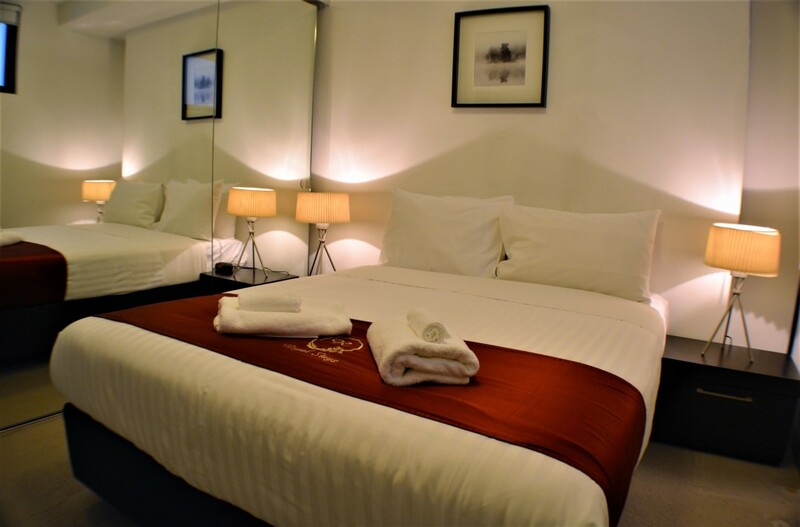 All the guests are provided fresh clean towels and linen as well as complementary guest amenities on arrival. All bills including electricity, gas, water, internet, phone and cable tv. 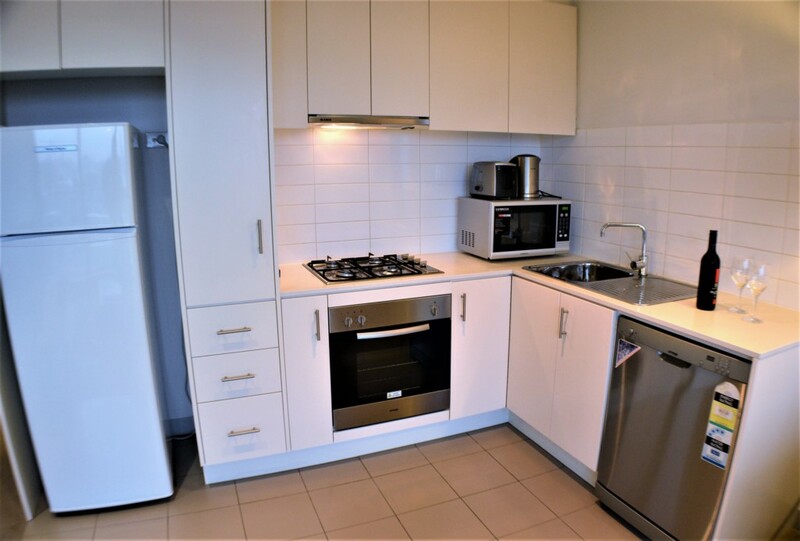 Fully equipped kitchen, including cookware, homewares, oven, fridge, dishwasher and gas stove. Unlimited free high-speed Wi-Fi internet and local/national phone calls. 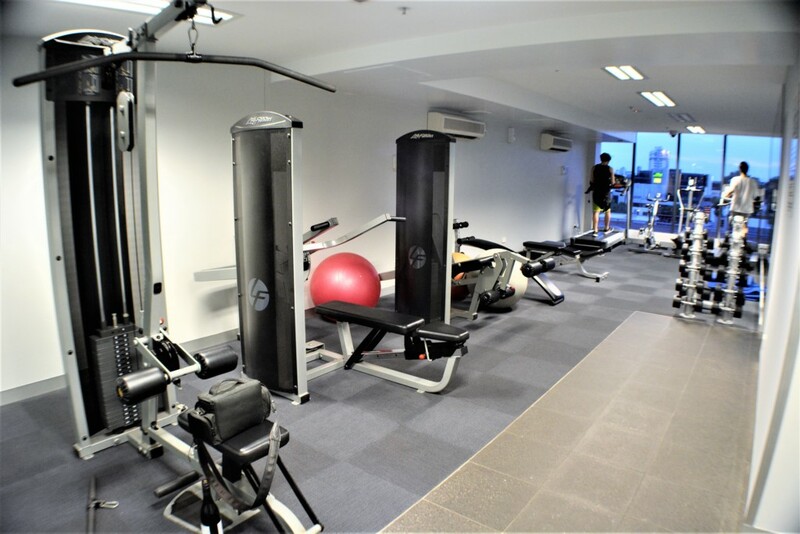 Access to communal fitness center and hot tub. 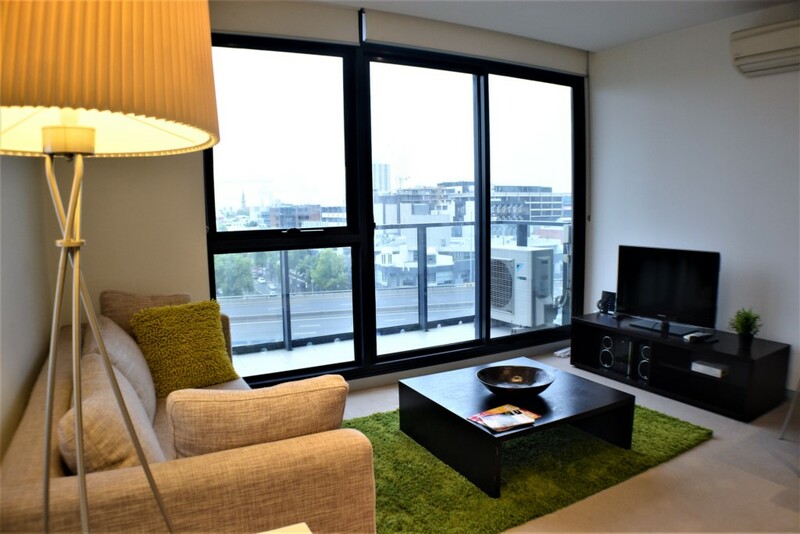 This apartment is located only a 5 minute’s walk to Yarra River, CBD, Melbourne Convention and Exhibition Center and Crown Casino, an entertainment venue where you can dine, watch movies and tries your hand at the poker tables. Southern Cross Railway Station is 5 minute’s drive away. Bourke Street Mall, offering a variety of shops is less than 10 minutes’ drive. 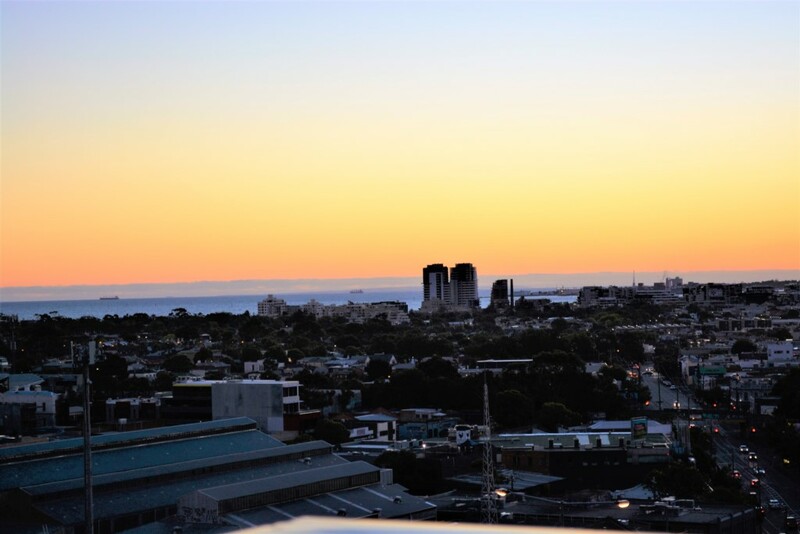 Supermarkets, South Melbourne Market, Cafes, Restaurants, Shops all within 5 min walk. 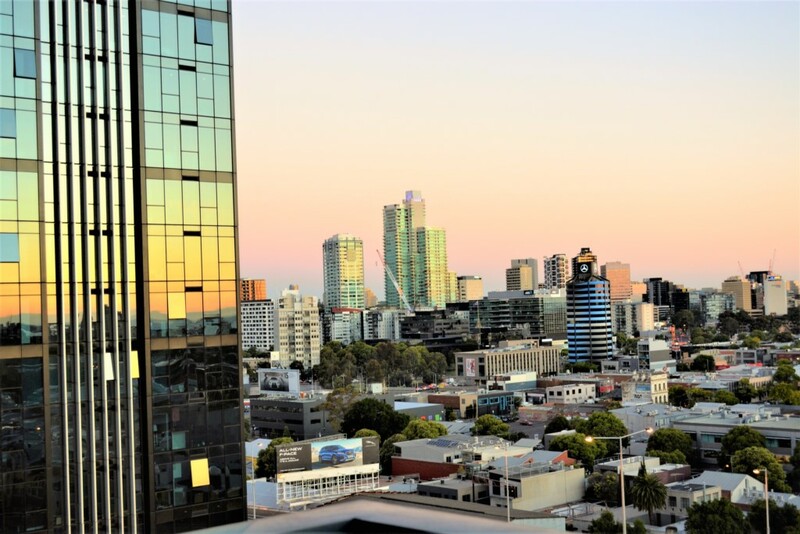 With access to nearby trams (1 min walk) and a 15-minute stroll to the train station at Southern Cross Railway Station, there are a plethora of public transport options while staying in the Melbourne. Melbourne’s famous Free tram Zone is only 5-8 mins walk away. If cancelled or modified up to 14 days before date of arrival, a fixed $100 fee will be charged. If cancelled or modified later or in case of no-show, 100 percent of the total price of the reservation will be charged. If cancelled or modified up to 30 days before date of arrival, a fixed $100 fee will be charged. If cancelled or modified later or in case of no-show, 100 percent of the total price of the reservation will be charged. After Check in: 30 days notice required to vacate the property without any penalty. Monthly rates are calculated on the basis of 4 weeks (28 days) month. © 2018 Royal Stays. All rights reserved.